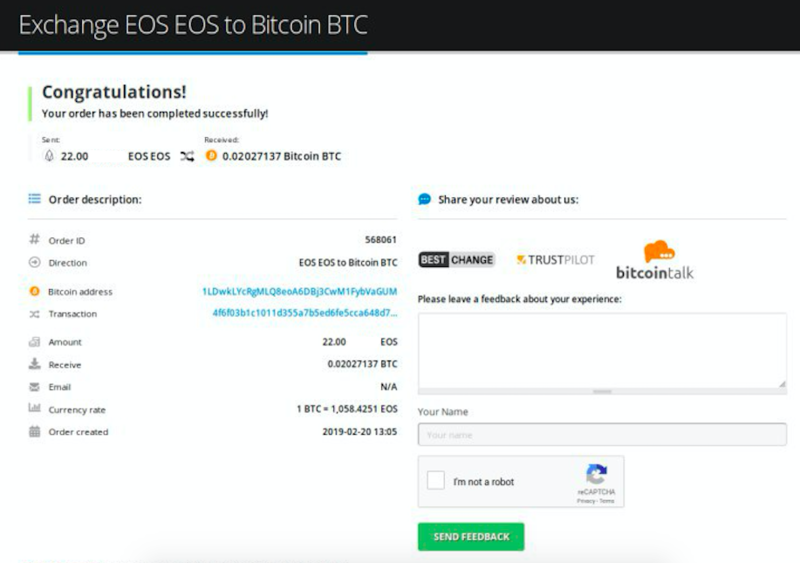 In this manual as an example we’ll show you how to sell your EOS (EOS) for Bitcoin (BTC). You can use one of the guide methods (Method 1 or Method 2) and then follow the selected guide method steps. 3. 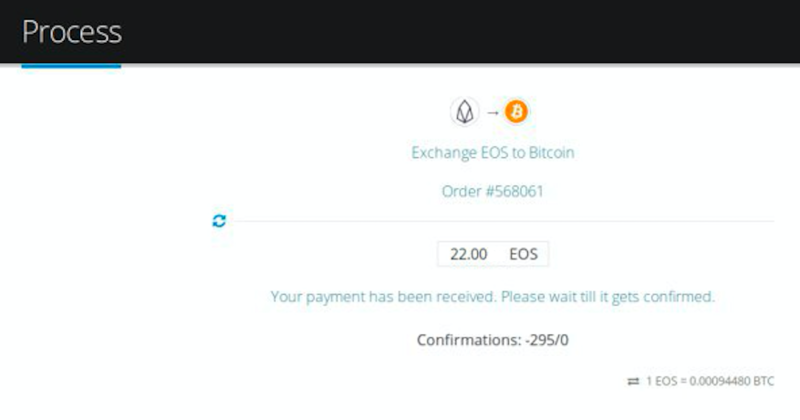 Now you need to enter the required amount of destination currency (2) (in our example: Bitcoin) or source amount (1) (in our example: EOS) you’d like to exchange. If you change destination amount the source amount will be automatically re-calculated and vice versa. 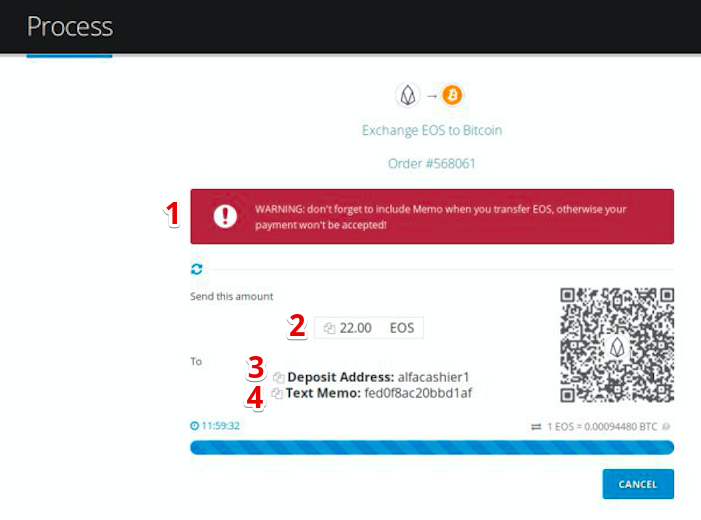 WARNING: don't forget to include Memo when you transfer EOS, otherwise your payment won't be accepted! Enter a Promo Code (3) if you have one. 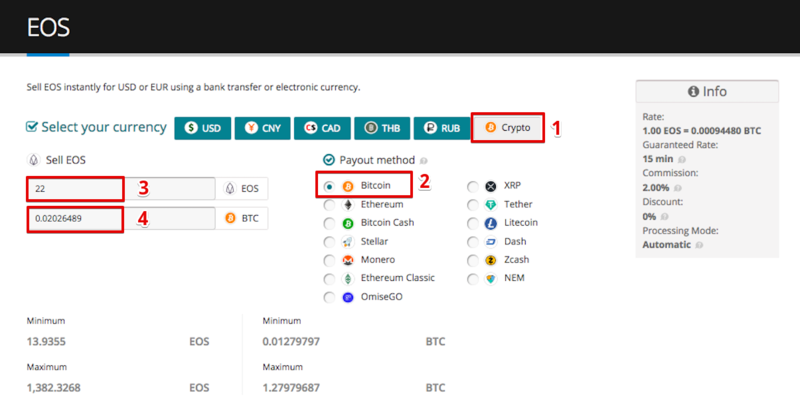 Please Note: If your destination currency is XRP, Monero, NEM, Stellar or EOS and you are transferring cryptocurrency to an online wallet, exchange or any other third-party service, you must specify appropriate Destination Tag for XRP, a Payment ID for Monero, Message for NEM or Memo for Stellar and EOS otherwise you can click on 'No Destination Tag', 'No Payment ID', 'No Message' or 'No Memo' checkmark and leave it blank. 6. The next page is the payment page. You need to send exact amount displayed (2) to our deposit address (3). In our example: the order will be completed automatically after transaction gets needed number of confirmations. 1. 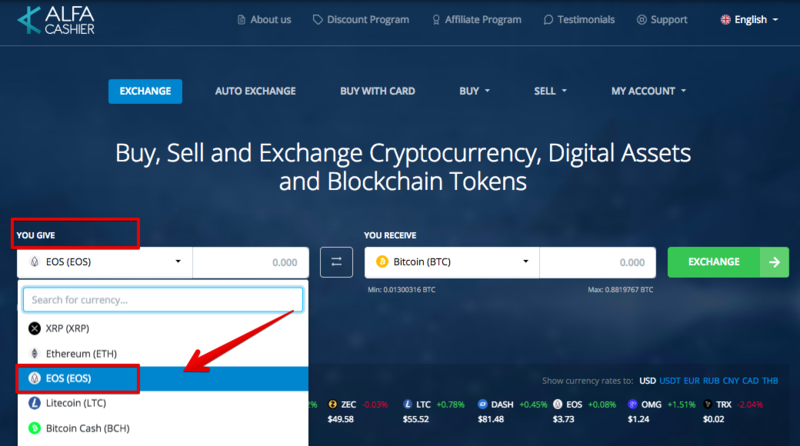 At the main page, choose SELL menu in the upper menu and click the cryptocurrency you want to sell (in our case, EOS). 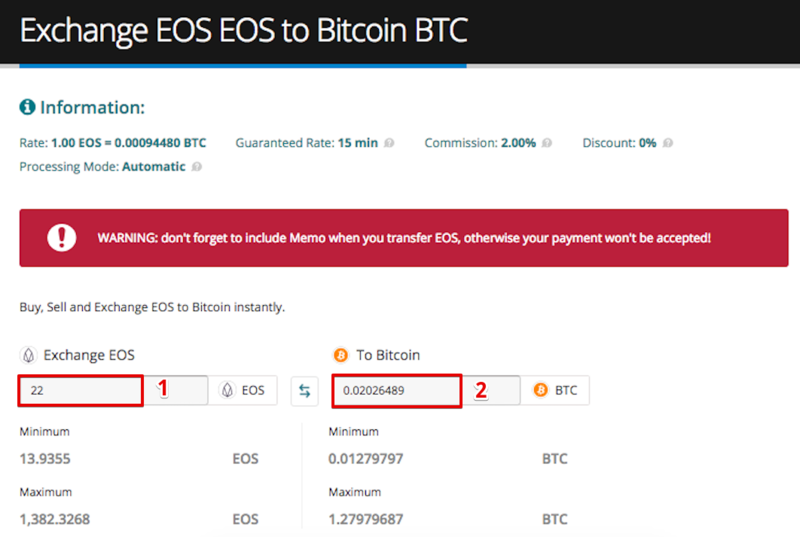 Enter either source amount (3) (in our example: EOS) or destination amount (4) (in our example: Bitcoin). 5. The next page is the payment page. 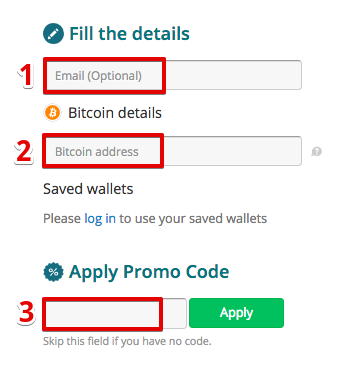 You need to send exact amount displayed (2) to our deposit address (3).